Being an expat has helped me truly appreciate all the on-line tools that would have made the life unthinkable for me as a single person even 10 years ago. If you consider how these tools apply to international living, you will see how anything is possible, whether you live it full or part-time. Transportation Tools – One of the things about living in another country six months a year is figuring out what to do about your car. If you lease your car and need to get rid of it, companies like Swapalease enable you to swap your car lease with someone looking for a car, or obtain a car at the end of someone else’s lease, but it does take time. If you live in an urban area, you might find it far less expensive to occasionally rent cars or utilize car share services Lyft and Uber (also widely available in Mexico), supplementing them with rentals like ZipCar and Car2go when you’re at home in the United States rather than owning a car. Even digging around Expedia and travel sites can yield good deals on car rentals for those months you're in the U.S.
With a little research, you might find a monthly rental to be less than what you are spending on payments, car insurance and taxes and fees. Renting or Subletting Your Place - Many apartment complexes allow you to sublet. I have sublet both my apartment and y vacation condo in West Virginia through sites like Air BnB or even Craigslist. If you organize your packing properly properly, the process should require only a few days of moving to storage or owner’s closets. When using Craigslist, I ask for a healthy damage deposit, personally interview people (sometimes via Skype, and thoroughly check references. Best prospects are professional athletes only in town for their playing season, students doing their thesis and people new to town who want to live in the city at least six months before deciding where to buy a house. Entertainment Sites– Perhaps you are not aware that programs such as Netflix (although the offerings are somewhat different), Spotify, cable television from U.S. and England and of course Amazon Plus are all available in Mexico just like home. Spotify Select in Mexico is nine pesos. That's right, less than a buck a month. A VPN (virtual private network) keeps your location private, enabling you to use sites like Hulu and Pandora while in Mexico. Online Concierge Services – I think this applies much more to single people who are doing everything themselves. Ultimately, when you do the math you should find that you are saving money with your expat lifestyle. There will be times you should treat yourself. After a long day flying, nothing beats walking into your place in Mexico and having it stocked. You will feel like a movie star, and a little less single. After all, the point of expat life is not to feel rootless, it’s to feel like you have two (or more!) homes. I have come to recognize that opening a completely empty refrigerator is a lonely moment distinct to being single. This is the time to reward yourself with a concierge service for all the solitary work you've done to make your more exciting life happen. Often, the same person who arranged the rental can arrange for stocking the refrigerator. You might pay $30 over the cost of the food if it's bundled in with other services. Property managers and rental agents often are willing to do these duties at a very reasonable price. All your systems, physical and technical, will be prone to the bugs that seem to surface after travel. You will feel much less stressed trying to get back online and connected if you can make yourself a hot meal soon after you walk in the door. Every time I haven't paid to have a few days worth of food already stocked in my refrigerator, I have regretted it. Several times, I have had problems at the ATM when I've landed in Mexico. Once I came in the door with a whopping 20 pesos (a little over a dollar) to my name until the next day, which won't buy you dinner even in Mexico. Check your account online (every day if you want) for suspicious activity. Transfer funds directly into accounts from your laptop or phone for rents and deposits on places in Mexico through property managers, realtors or accounts of the owners themselves. 24/7 customer service by phone (because you get really insecure about your bank account when you're in another country). Free communication with friends and family via the internet - Skype, Zoom, and Google Hang-outs are some of the most popular ways to keep in touch with people back home through video conferencing. WhatsApp is the app everyone uses in Mexico, which allows videos, voice audio messages, and texting for free. Magic Jack is a way to call for free from where ever you are as long as you have an internet connection. Most Recent: Single expats in Mexico talk about their perfect day. Next up: Banking mishaps affect you differently when you're a stranger in a strange land and the ATM just ate your debit card. 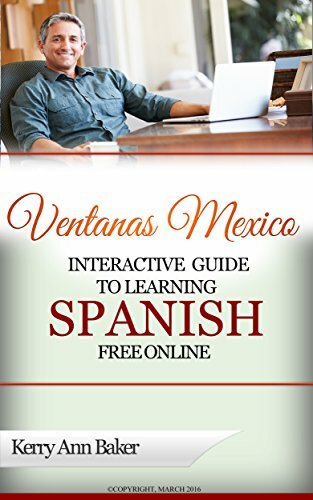 Kerry Baker is a partner for Ventanas Mexico and author of the "Interactive Guide to Learning Spanish Free Online" an interactive tool for adults wanting to prepare for life in Mexico. The Guide is a curation of the best free tools, organized into lesson plans. Use different tools every day. Never get bored. Learn Spanish. 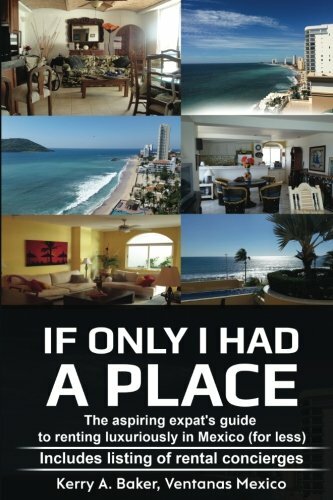 She more recently released "If Only I Had a Place" - written for aspiring expats desiring to rent luxuriously for less. Includes a listing of rental concierges who can preview your place before you arrive, an must when renting in Mexico.